The latest news from our Chez Nous section is a series of delicious recommendations to enjoy with Jacqui Rowe's Ransom Notes. 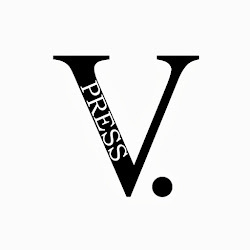 Obviously, we think our V. Press pamphlets are great, otherwise we wouldn't publish them. The idea behind Chez Nous then is to offer something very different to a traditional review and a reminder that poetry isn't just words on a page but an experience. To this end, our readers/poetry-sommeliers recommend what they have found to be the perfect accompaniments to bring out the full flavours of each V. Press pamphlet. Today, Angela Topping's recommendations for enjoying with Ransom Notes. When you have scoffed your Cambozola and drunk a few glasses of the Chablis while relishing these poems, you too may feel like the wolverine." For sample poems or to buy Ransom Notes, please click here. Angela Topping was born in the year post-war food rationing ended. Perhaps this is the reason for her lifelong love affair with food and all good things. Another of those good things is poetry, of which she has written seven collections and four pamphlets. Over the years, her prowess in wine appreciation has graduated from Blue Nun and Mateus Rose into a liking for the finer fragranced and fuller bodied. And since she has become more full bodied and likes perfume, this is very appropriate. For years, wine was a balm after a hard day in the classroom and now she is freelance again, it is an inspiration and a treat. Meanwhile, behind the scenes at V. Press, a lot of other plans are in motion for new titles, launches, readings, and, hopefully, re-opening our open submissions window in August. As they say, watch this space, because it won't stay unfilled for long!